Last summer the World Health Organisation recognised internet gaming as a diagnosable addiction. This was an important step in aligning practice with research, but we need to go further. Psychologists and other mental-health professionals must begin to acknowledge that technology use has the potential to become addictive and impact individuals and communities — sometimes with dire consequences. The research is clear: Americans spend most of their waking hours interacting with screens. Studies from the non-profit group Common Sense Media show that US teens average approximately nine hours per day with digital media, tweens spend six hours and even our youngest — ages zero to 8 — are spending two-and-a-half hours daily in front of a screen. The average adult in the United States spends more than 11 hours a day in the digital world, according to research by the Nielsen Company. When people invest this kind of time in any activity, we must at least start to ask what it means for their mental health. Both a correlational and causal relationship between tech use and various mental-health conditions has been established. Research by the University of Pittsburgh found higher rates of depression and anxiety among young adults who engage multiple social media platforms than in those who engage only two. Author and psychologist Jean Twenge finds that the psychological development of adolescents is slowing down and depression, anxiety and loneliness, which she attributes to tech engagement, are on the rise. Multitasking, a behaviour encouraged and reinforced by technology, is consistently correlated with poor cognitive and mental-health outcomes. Finally, the University of Pennsylvania recently published the first experimental data linking decreased well-being to Facebook, Snapchat and Instagram use in young adults. Clearly, our technology use is affecting our psychological functioning. As a psychologist and researcher, I have been examining this interplay between technology and mental health for nearly two decades. While technology can do incredible things for us in nearly every area of life, it is neither all good nor benign. When the mental-health community resists fully exploring the costs associated with constant tech interaction, it leaves those struggling with compulsive or potentially harmful use of their devices few places to turn. Recently, a woman scheduled a consultation with me because she was concerned about her inability to focus. A self-described Type A personality, she found herself sim-ultaneously interacting with three or four screens at a time for nearly 20 hours a day, determined to instantly stay on top of every demand. When it came time for her biannual revision of an important procedural manual, she found that she couldn’t focus on the single task for the time required to do it effectively. She is far from alone. Technology now reaches deep into our psyches and our lives. 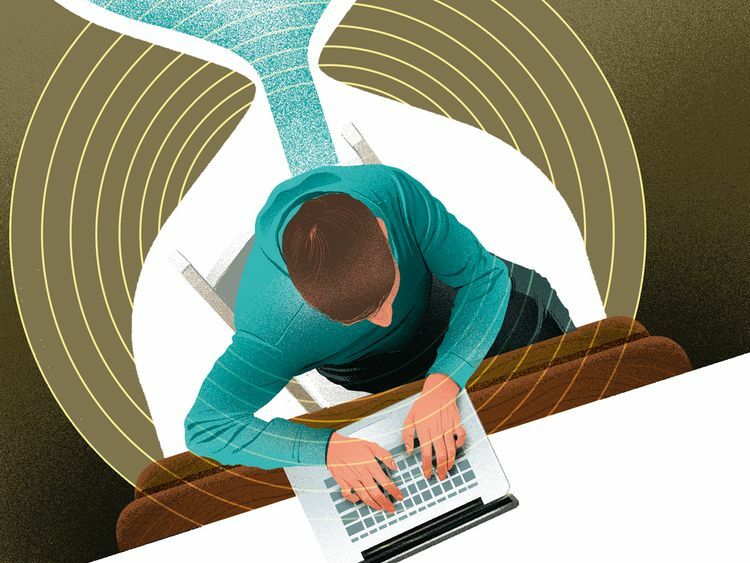 Our constant interaction with the digital domain shapes the way we learn; the way we form relationships with others and ourselves; the way in which we offload our own bodily “message indicators” onto things such as fitness trackers; and the way in which we are rewarded for focus and regulation or lack thereof. Our attention spans are short. Our ability to focus on one task at a time is impaired. And our boredom tolerance is nil. We now rely on the same devices that drive so much of our anxiety and alienation for both stimulation and soothing. While for many of us these changes will never roam into the domain of addiction, for others they have. In fact, in a recent Common Sense Media poll, 50 per cent of adolescents reported already feeling that their use had become addictive and 27 per cent of parents report the same. If Americans were interacting with anything else for 11-plus hours a day, I feel confident we’d be talking more about how that interaction shapes us. Mental-health professionals must begin to educate themselves about the digital pools in which their clients swim and learn about the impact of excessive technology use on human development and functioning. It is too easy for therapists to assume that everyone’s engagement with the digital domain looks just like their own and to go merrily from there. We would serve our clients well by understanding the unique way in which many platforms encourage addictive patterns and behaviours. We should also create non-shaming environments in which they can candidly explore how their tech use impacts them. It’s time to put our phones down and begin an informed conversation about how technology is impacting our mental health. Our clients’ health and the well-being of our communities may depend on it. Doreen Dodgen-Magee is a psychologist in Portland, Oregon. She is the author of Deviced! : Balancing Life and Technology in a Digital World.